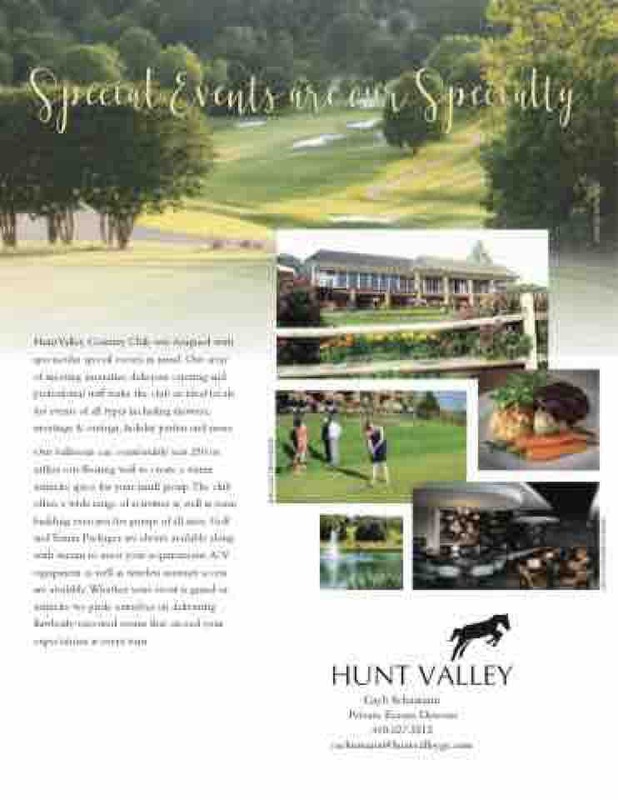 HuntValley Country Club was designed with spectacular special events in mind. Our array of meeting amenities, delicious catering and professional staff make the club an ideal locale for events of all types including showers, meetings & outings, holiday parties and more. Our ballroom can comfortably seat 250 or utilize our floating wall to create a warm intimate space for your small group.The club offers a wide range of activities as well as team building exercises for groups of all sizes. Golf and Tennis Packages are always available along with menus to meet your requirements.A/V equipment as well as wireless internet access are available.Whether your event is grand or intimate we pride ourselves on delivering flawlessly-executed events that exceed your expectations at every turn.